An RSS feed (or news feed) is a means by which you can stay informed about what's going on at North Pennsmen Barbershop Chorus without having to regularly visit the website. We perform in shows, compete at contests, support our community and have fun. Visit us on a Tuesday evening! Creativity is a feature of our performances. Our shows are perfect for the whole family! Great People - Great Singers - Awesome Community - Since 1962! Who is THE North Pennsmen Barbershop Chorus? We are a group of male singers who love a cappella singing. We strive for excellence in everything we do while never forgetting to "enjoy the moment". Are you a singer? Are you looking to harmonize with the guys like you did in high school or college? Is learning to sing better on your bucket list? Then check us out! We're an award-winning men's a cappella chorus in the Lansdale area of Montgomery County, PA. Welcome! 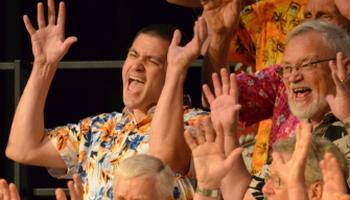 Want THE North Pennsmen Barbershop Chorus to sing at your next function? 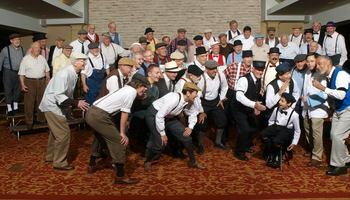 Why not hire the North Pennsmen Barbershop Chorus to entertain at your next event? We can perform at corporate functions, charity events, community Entertainment events, birthday parties, christmas parties, awards nights, weddings, engagements, anniversaries, engagements, and even funerals and memorial services.